Back in 2009, that 15% tax rate would be mid-range OECD (stats aren't updated for 2010 just yet). But the new wave of fiscal austerity measures in the developed world would inch those comparative numbers up. 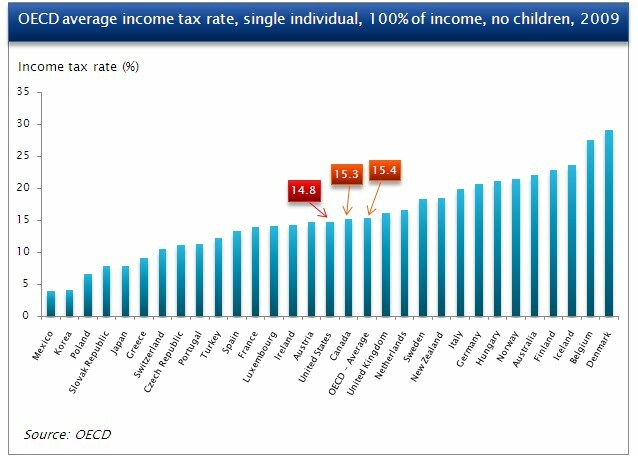 I can imagine the US, Ireland, France, Spain, Portugal and Greece - among others - would have revised their tax rates upwards within the last two years.